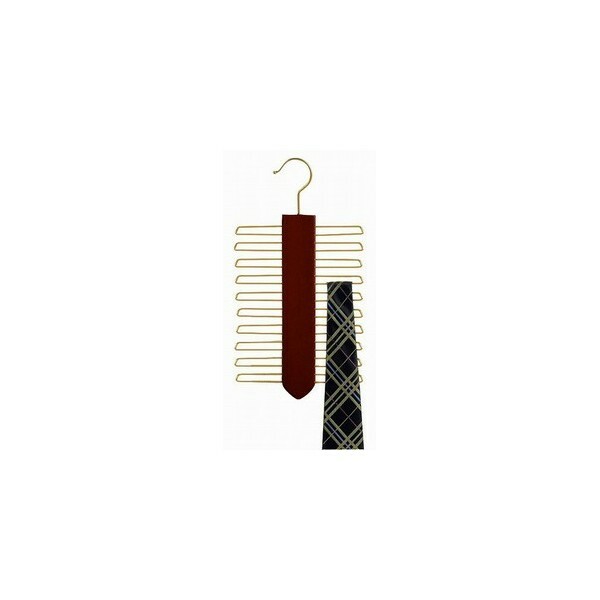 The rich walnut finish against brass hardware of this vertical tie hanger lends an elegant look to tie storage. 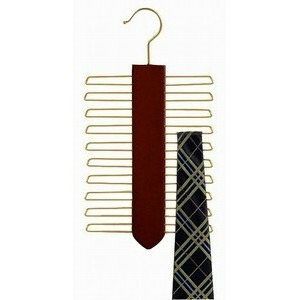 With clips for 20 ties and the sleek vertical design, it’s great for space saving! Sold Individually.